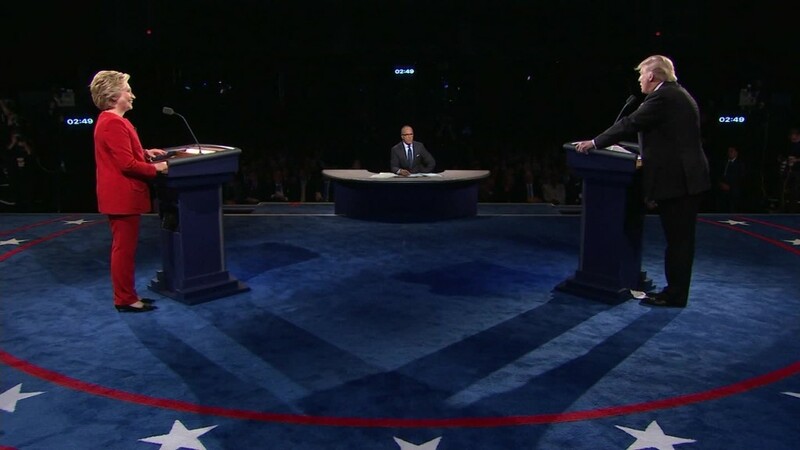 Financial markets wasted no time in giving their verdict on the first U.S. presidential debate: Donald Trump didn't do well. As Trump and Hillary Clinton sparred on live TV, one key financial barometer of the Republican nominee's prospects started moving sharply: the Mexican peso soared more than 2% against the dollar. In recent weeks, the Mexican currency has been moving in the opposite direction to Trump's poll numbers. As they have improved, the peso has dropped, hitting an all-time low against the dollar ahead of Monday night's debate. 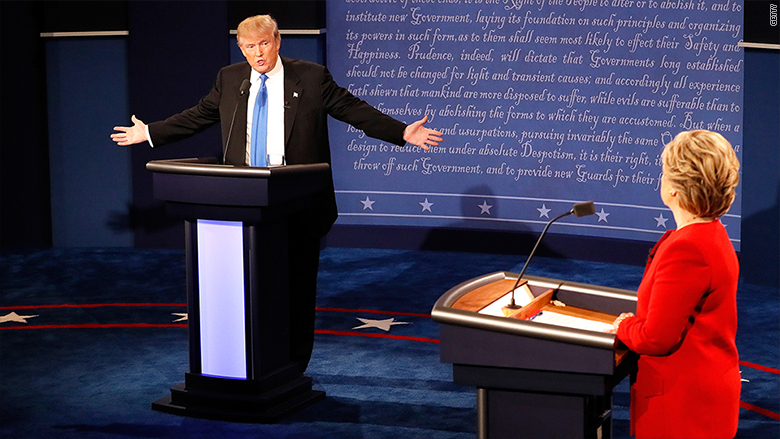 Its sudden leap during the debate was a clear reaction to Trump's performance, according to Ihab Salib, head of international fixed income at Federated Investors. A CNN/ORC poll of debate watchers released after the event found 62% felt Clinton won compared with 27% for Trump. Trump, however, told CNN that the debate "went better than I ever thought." The peso's sharp moves lately are a reflection of investors' fears that the relationship between Mexico and the U.S. -- political and economic -- could be thrown into chaos by a victory for Trump, who has proposed the building of a wall along the border. Salib says the Mexican currency is going to remain volatile as the race for the White House continues. "There's a lot of time and at least two more debates before the election," he said. "It's more likely for the peso to continue to fluctuate with each event. I don't think it can hold on to most of any gains until after the elections." The peso wasn't the only indicator of how the debate went. Major Asian markets and U.S. stock futures were up Tuesday. European markets had wilted by midday after opening higher. Experts had warned that stocks might tumble if Trump had a great debate. Financial markets have had trouble predicting voters' intentions in the past, though, like in Britain's referendum this year on membership of the European Union. Even after its big jump during Monday's debate, the peso is still down more than 13% since the start of the year. Trump launched his campaign last year with anti-Mexican and anti-immigrant rhetoric and has not let up. He has said he would "entirely renegotiate" or "terminate" NAFTA, the free trade deal between Canada, Mexico and America. He has also threatened to put a 35% tariff on some goods, such as Ford cars that are made in Mexico and sold in the United States. The Canadian dollar also gained ground during the debate, climbing around 0.7% against its U.S. counterpart. Some experts point out, though, that Trump's not the only factor affecting the peso. Mexico's economy shrank in the second quarter for the first time in three years. Manufacturing is down compared with last year, the government announced spending cuts this summer and the price of oil, its main commodity, remains low. The U.S. Federal Reserve's plans to raise interest rates also tend to deter investment in developing countries like Mexico.